Oberheim DMX Voice Cards and Original Packaging! I've been meaning to do this for a while: The DMX is different than the DX ( and every other drum machine design of the period ) in that it contains individual daughter boards for each drum sound. Much like the poly synths Oberheim was making at the time the boards were easily removed for servicing and or replacement. 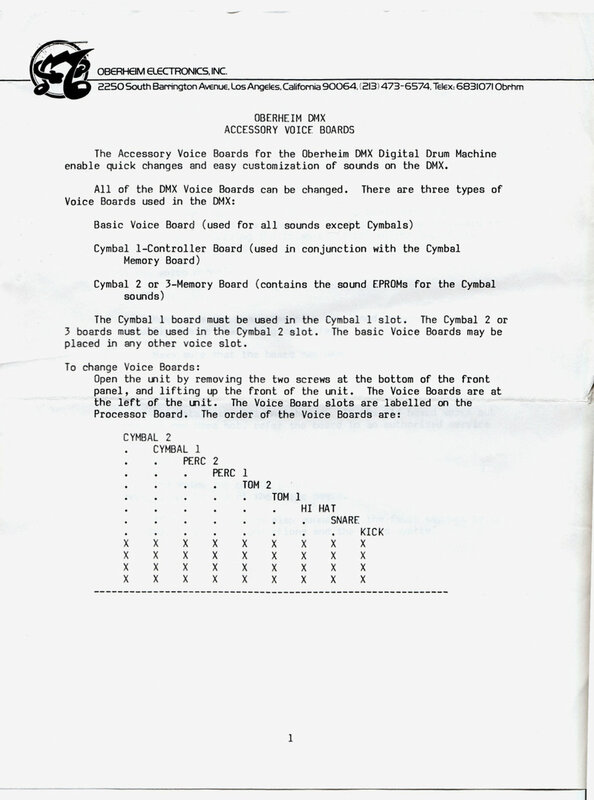 The DMX voice cards came in three varieties. One basic drum card for drum and percussion sounds and two different cymbal variants. The two spare cards i received with my DMX came with all the original packaging and Oberheim literature from the original dealer! Side note: The DMX has TWO tom 'sets' as opposed to normal machines of the period. Side note 2: The DX Stretch from the previous posts demo featured the 'timbale/conga' sounds on the Stretch portion of the machine. I didn't usethe 'breaking glass, record scratch, and electric snare' sounds for that demo.